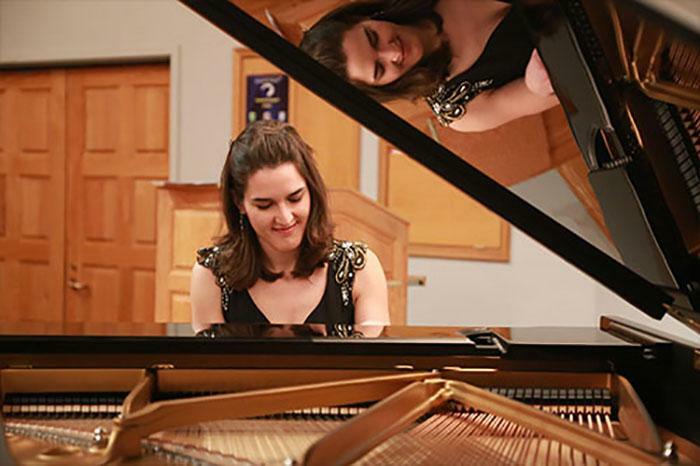 Students of the Keyboard Area at the University of Northern Colorado have access to an array of exciting opportunities within and beyond the School of Music. 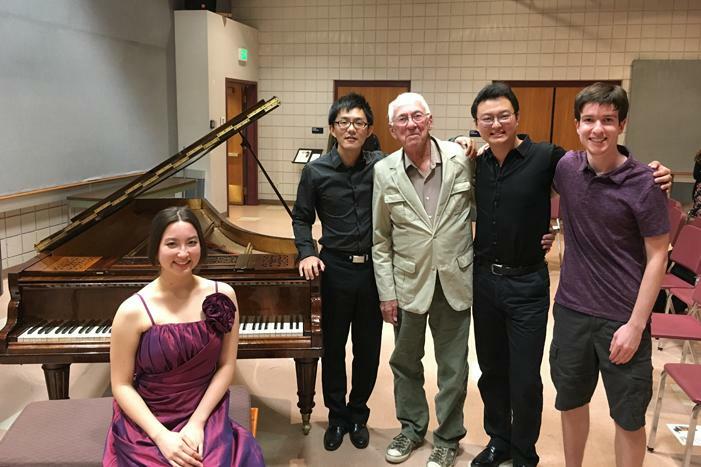 UNC piano students benefit from the regular schedule of recitals and master classes by internationally acclaimed guest artists, such as Frank Weinstock, Marina Lomazov, Anton Nel, Robert Weirich, Stanislav Khristenko and Douglas Humpherys. Regular chamber music coachings are available with UNC's complement of world-renowned faculty in both the instrumental and vocal areas. 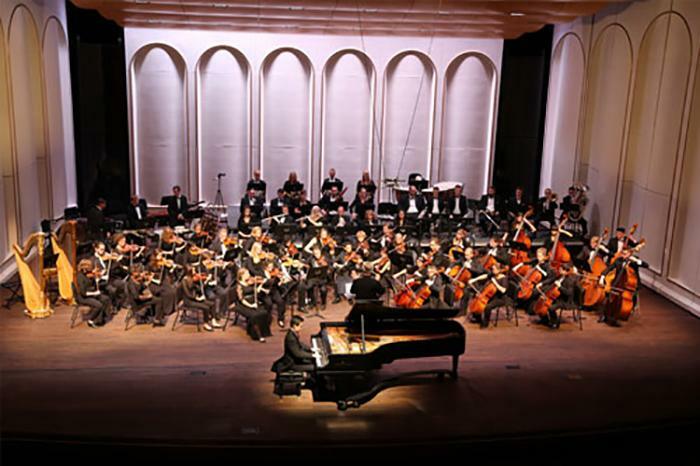 Piano students also have the opportunity to compete to perform with the UNC Symphony Orchestra. Piano and Keyboard students are continuously encouraged to perform and participate in musical events on national and international stages. Through the personalized advising system at UNC, faculty works closely with each student to design an individualized plan of study that prepares students for professional success. 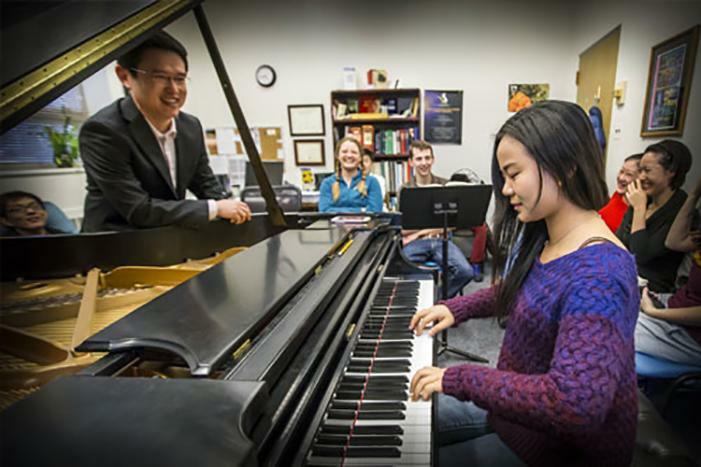 Professor Lei Weng teaches piano studio class. 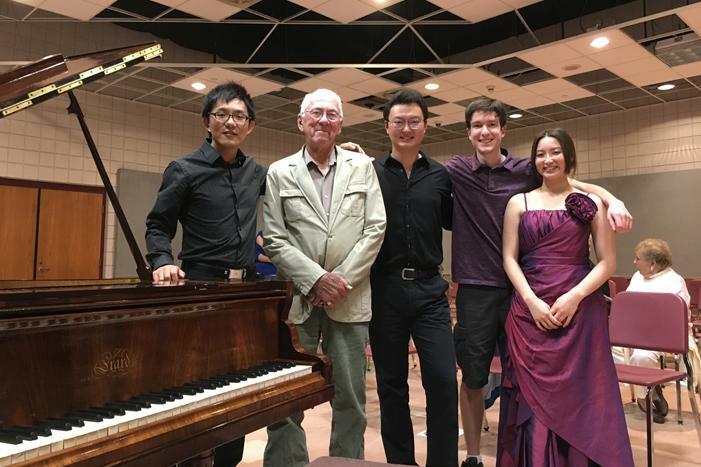 Students participate in a special event featuring Liszt's Favorite Piano. 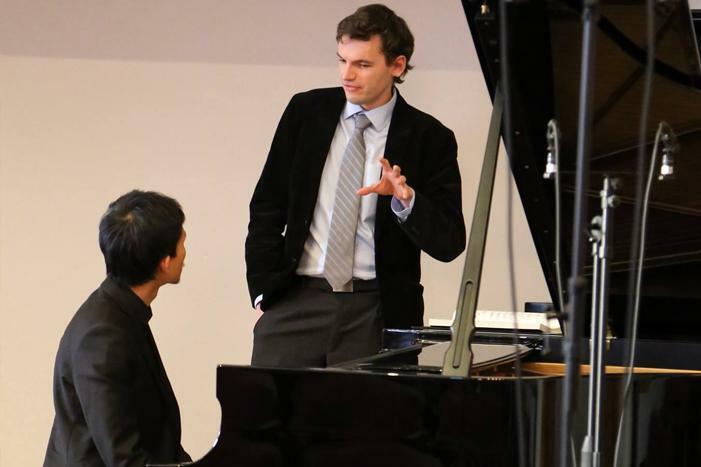 Justin Krawitz answers a student's question in a piano class. Adam Żukiewicz teaches a master class. 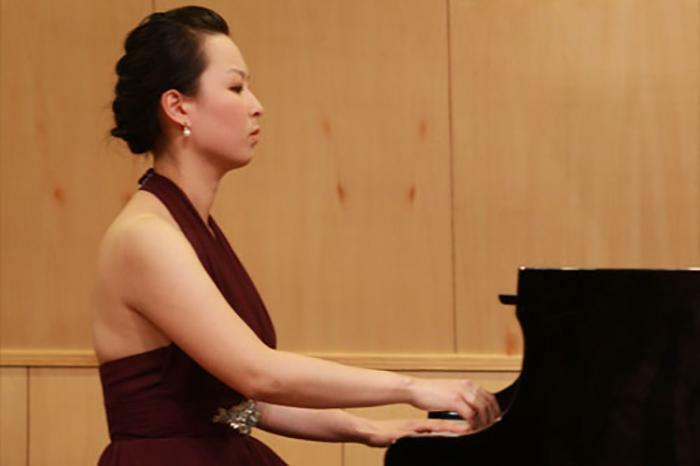 Lei Weng performs with the University Symphony Orchestra. Willem van Schalkwyk works with a student in a master class. 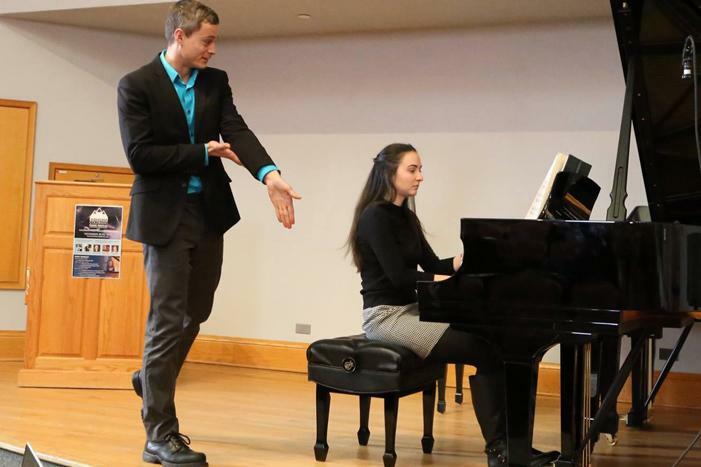 In addition to many concerts and performance opportunities, the School of Music hosts the annual three-day Colorado Piano Festival and Colorado Piano Pedagogy Symposium. Learn more about Undergraduate and Graduate Music Degrees at UNC. 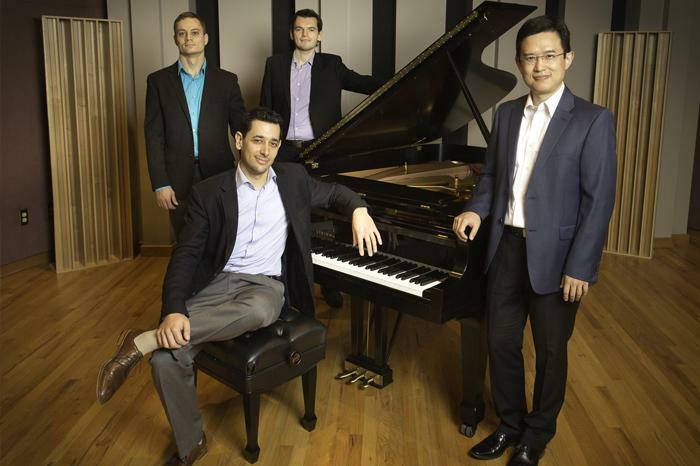 The Keyboard area at UNC boasts an international faculty from China, Poland, South Africa and Namibia that collectively has performed and taught on five continents. 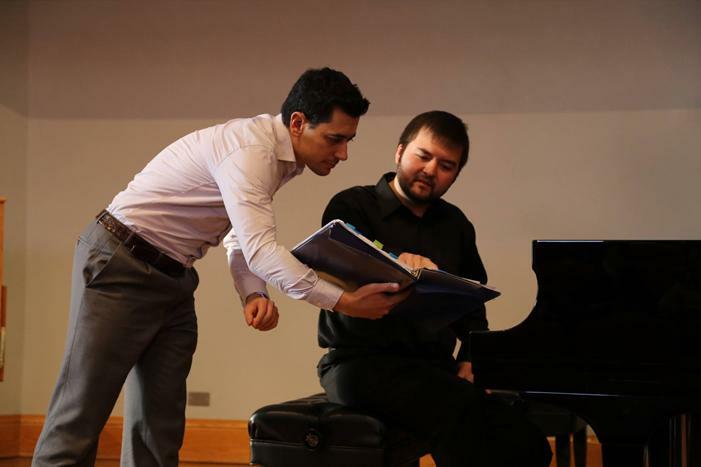 These artist-pedagogues are dedicated to guiding and nurturing the artistic and intellectual development of keyboard students through in-depth experiences in musicianship, performance and scholarship.